The thrillingly dark conclusion to the No. 1 New York Times bestselling DIVERGENT trilogy, now available in paperback. DIVERGENT - a major motion picture series. What if a single revelation - like a single choice - changed everything? But Tris's new reality is even more alarming than the one she left behind. Old discoveries are quickly rendered meaningless. Explosive new truths change the hearts of those she loves. 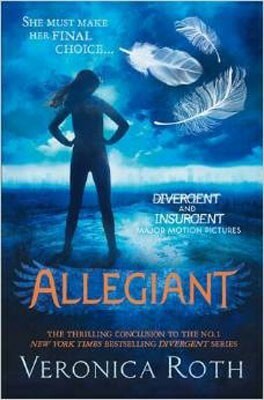 And once again, Tris must battle to comprehend the complexities of human nature - and of herself - while facing impossible choices about courage, allegiance, sacrifice and love. Good book but not as good as the other books in the trilogy. I'm not sure I like the ending its so sad but the rest of the book is great. Its a must read!